Hello All. I, like many of you, have questions from time to time about certain Southern Gospel topics. It is now your turn, the reader, to give me answers to current questions I have. 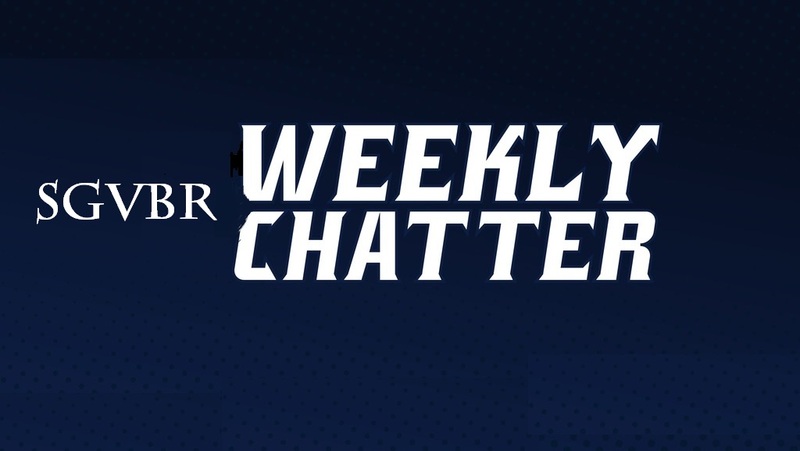 Periodically I will be presenting this new weekly chatter segment where I ask the questions and you give me the answers. So here goes. Anyone have any idea when we’ll get a new album from the Bowling Family? We’re working on four years since they gave Southern Gospel listeners a new recording. What is up with the Isaacs getting new radio singles out? Haven’t heard a new song at radio since “Yours Amen”. Any early odds on the Legacy Five vocal replacements (tenor and baritone)? If That’s What It Takes was a single for the Isaacs. Was it before Yours Amen? I Love You More should have been a single. I thought I saw it on a bluegrass chart but cant substantiate that. The Bowling’s tend to take awhile between records. Not sure why. A few others do that. Maybe they absorb a lot of the cost and don’t have the funds? For the LV tenor, it would probably be someone from another group looking for greener grass. I could throw out names but probably shouldn’t. Replacing both parts gives them an opportunity to do something gamechanging like hire a lead with a big range and move Scott to baritone. The Dunaways have taken five years between albums and their sound is worth it. It’s going to crossover with this new one. Again! Maybe these groups just can’t find the songs? After all we’ve talked about the quality of the songs now compared to earlier years, but I think we’re on the move up to possibly getting some of the finest music we’ve had in a long time. The Dunaways started working on their newest CD 3-4 years ago. The long wait wasn’t necessarily just recouping costs or just taking their time. Tammy Dunaway was exposed to toxic mold and was poisoned as a result. They didn’t sing much for maybe a year or more. Tammy & Randall even had to build a new home I believe. When is the last time there was a radio single by the Booth Brothers? Dirt On My Hands from 2015’s Still? I don’t believe there was a single from Between Here and Heaven though there were lots of great options from both? Maybe they don’t need radio because they’re singing less? I believe there is a country CD in the works with Gaither but that’s already been about a year. They and the Nelons seem to miss out on a lot of great single options and are focusing on non-Christian/Gospel options. I’ve heard from some radio promoters that radio isn’t as important as it was, that the social media was taking up the time people have to listen to music and they can pick what they want to hear vs someone else who’s guessing or just playing charts all the time whether the songs are good or not? I wonder? Why did the Hoppers leave Daywind? I wonder if they really did. The First Families project was more of a specialty project. It had one single then a single was released from the Daywind project. I think record deals have many more options these days alllowing some flexibility. Some are merely distribution deals giving an artist the name recognition of a label behind them. That’s probably right. I didn’t know if maybe they were going to go back releasing their own albums independently again. Last week at their shows in Georgia, Legacy Five brought along Lee Black and he performed a couple of songs on stage with them in place of Josh Feemster at tenor. I don’t know if it was an official audition, but it sure seemed like it. How did Lee sound at tenor with L5? He has a good tenor voice. Observation / Question – Have traditional 3 chords & Cloud of Dust songs gone extinct? Don’t get me wrong – I actually prefer progressive SG, but there’s something about a great quartet song. It seems like none of the major quartet releases lately have anything resembling this any more. Agreed. Progressive Southern Gospel arrangements can tend to get boring with songs sounding so similar to each other. I would like to see David and Bryan Walker fill the opens positions in Legacy Five.